Week 20 already is here and we have some strange TOTW on our way. 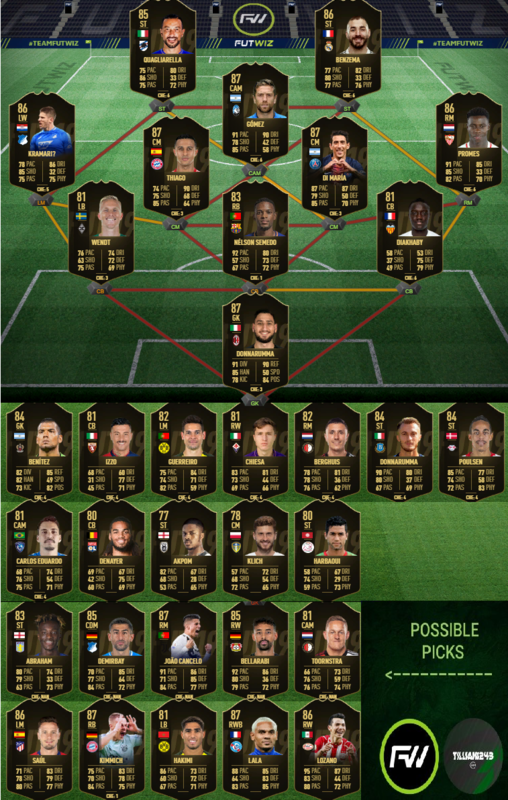 I hope few picks of my “Possible selection” get selected, otherwise it’s gonna be really average TOTW. Highlights of this TOTW are: Benzema, Di Maria, Gomez and Donnarumma. All of those, in my opinion, must be locks. Quincy Promes got 10\10 performance just after his MOTM, so it’s up in the air for him to get SIF so soon. Thiago was MOTM for Bayern and got a goal to his name. Quagiarella with another goal. Only 1 more goal till Record Breaker!